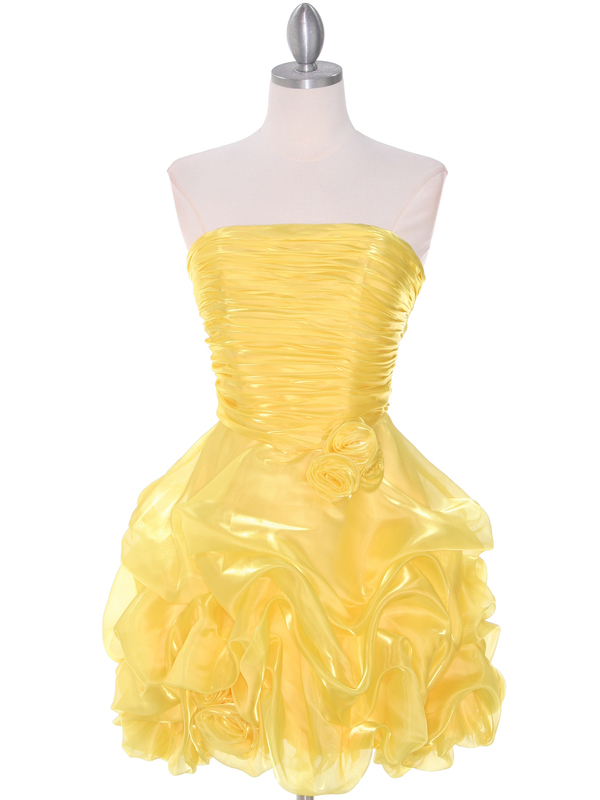 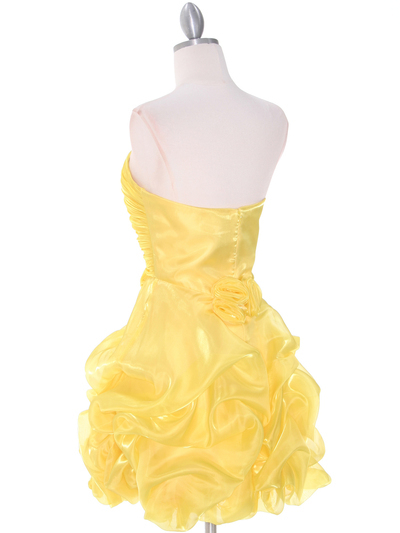 Yellow Short Prom Dress | Sung Boutique L.A. This adorable prom dress features ruched bodice with rosettes adorns the waist, the back and the skirt. 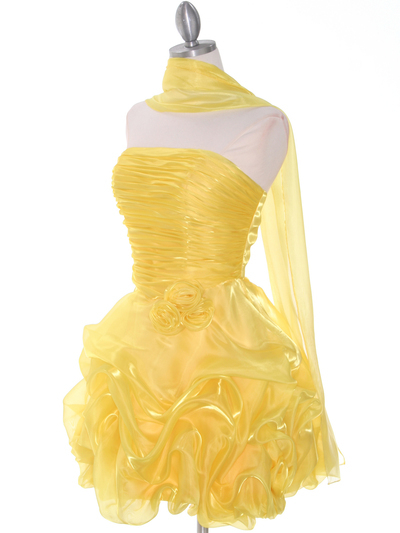 Short gathered skirt finished the fun and sassy look.